The figure is of a kneeling mother keening for her lost children. This is expressed by the hollow, empty womb. It also expresses the loss of all the children of Ireland through the forced emigration caused by the famine. A memorial to the Irish Famine - An Gorta Mór -is now installed in Subiaco, Western Australia. The City of Subiaco approved a generous contribution of $25,000 for an iconic one metre tall cast bronze sculpture, designed and created by Irish Australians Charlie and Joan Smith (Smith Sculptors). In addition to the funds contribution, the city will maintain and upkeep the site once installed. The memorial will be located in Market Square, Subiaco. In a presentation to Subiaco councillors the Western Australia Irish Famine Commemoration Committee Inc outlined the depth and breadth of the relationship between Ireland and Western Australia, the impact of the Famine there and here and also why Subiaco was the most appropriate and fitting location for this landmark monument. 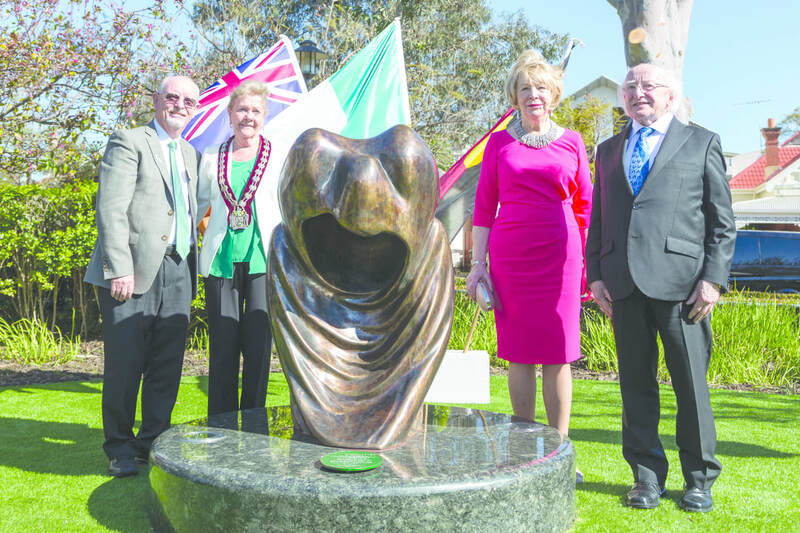 An Gorta Mór was unveiled on October 9th by the Irish President, Michael D Higgins and is West Australia's first famine memorial and Australia's third after Melbourne (1998) and Sydney (1999). Smith Sculptors, Charlie Smith and Joan-Walsh Smith – the husband and wife team who designed An Gorta Mór – are originally from Waterford but have called WA home for many years now, are amongst Australia's best known artists in their field, having created multiple artworks for public and private clients. They are so passionate about this particular memorial they have volunteered their time and effort, a gesture which has significantly reduced the costs associated with a project of this nature. With the support of the Irish and wider community the Western Australian Irish Famine Commemoration Committee was confident of raising the remaining funds needed to complete the project. This fundraising has been well supported by the Irish Community of Western Australia. We are not far off having enough to be in a position to handover to Subiaco City Council. We still need help and whatever donation you choose to make will help to establish an outstanding and permanent memorial to the generations of Irish people affected by the famine and the enduring connection between Ireland and Australia. This is a unique opportunity for anybody in the community to be associated with this once in a lifetime project. 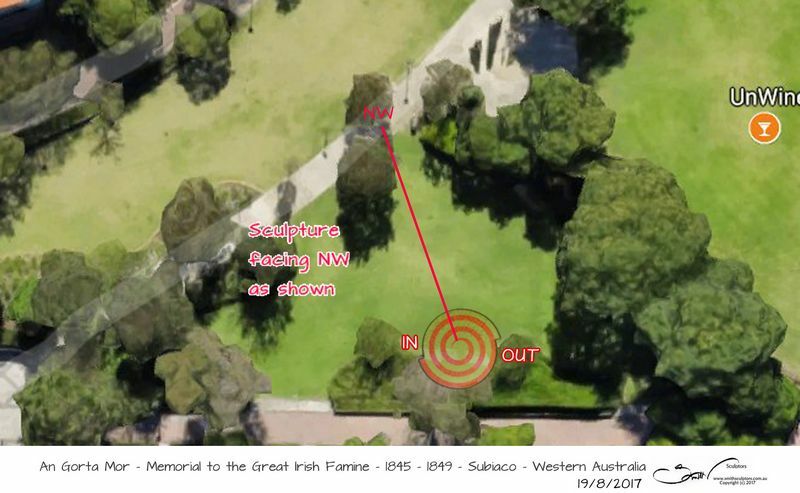 The Famine Commemoration sculpture project is being coordinated by the Western Australia Irish Famine Commemoration Committee, Subiaco City Council and Smith Sculptors. Please note the “WAIFC Famine Memorial Project” is NOT registered to receive tax deductible donations. We'd be grateful if you could follow any deposits with an email notification. If you would like to make other arrangements please contact us using the form below.